Windowpane pattern are thin/slim lines that cross like squares/rectangle on fabrics. 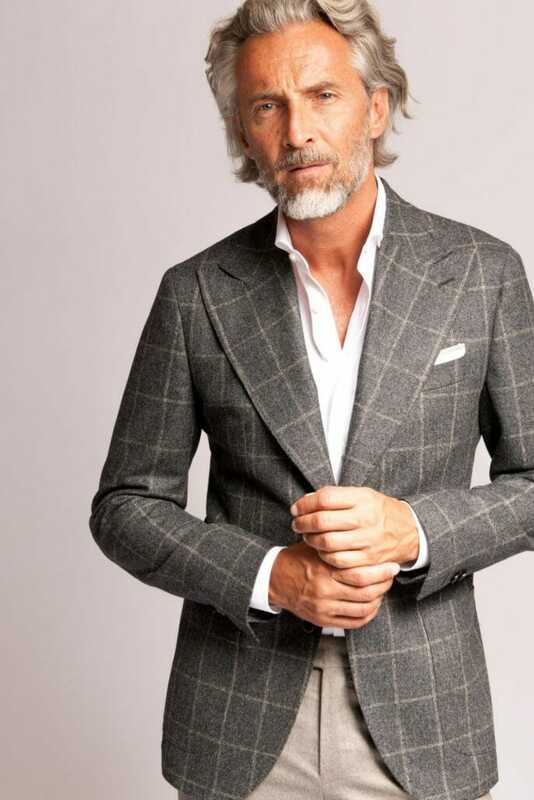 It is an ongoing trend and have been making their way into suits at Italian labels and at bespoke tailors too. 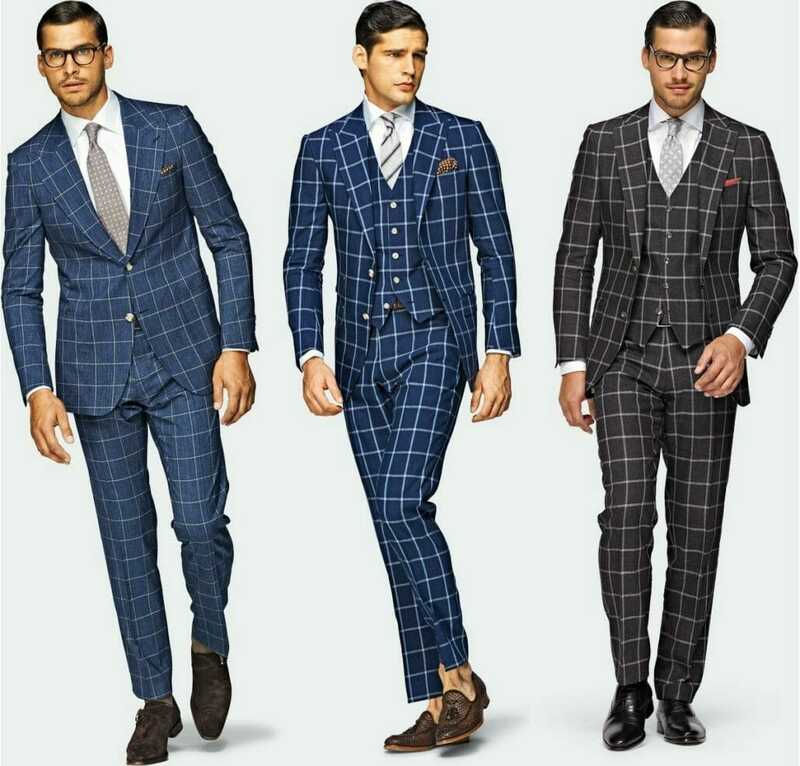 Windowpane can be the contender for the most perfect suit patterns. Windowpane pattern beefs up the slim guy, makes the thin guys look bulkier. On the contrary, it has a slimming visual impact for larger men. It also facilitates an easier way for men who can’t mix and match their suit with shirt and tie. We have the suits with herringbones, houndstooths, pinstripe, twills but windowpane has some unique character to it. It adds an extra elegance to the overall suit. In a world where just the word pattern strikes fear into the hearts of many men, we present our windowpane suit guide as the antidote to pattern panic. Will I look good in Windowpane suit? 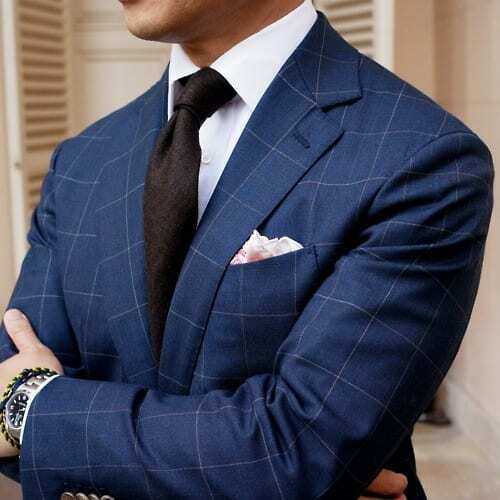 Everyone looks great in windowpane suit. It has a a certain elegance or flattering essence that makes it one of the most desired suit pattern. Windowpane is actually not a squared line but it is actually a elongated rectangles. This has the effect of slightly elongating the wearer and that’s one reason you see bigger guys wear this pattern. Still, the pattern does include horizontal lines that can serve to bulk up the skinny guy’s presence. This makes windowpane suits a great alternative to pinstripes for the slimmer gent. This slick little visual trick is what makes the windowpane suit one of the most versatile suits a man can own. Do wear: For work and weddings. It makes the perfect blazer too not suit alone. Don’t wear: For job interview or funeral.